Whilst awareness of the prevalence of self harm has grown in recent years, it remains a challenging area for youth workers and clinicians. 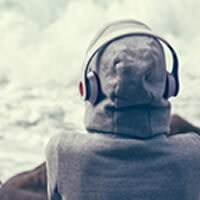 When self harm is linked to voice-hearing (either as a response to the voices or as an expression of underlying distress) – this challenge can be amplified. Anyone working with, or supporting, children or young people who hear voices and self-harm, including: parents, youth workers, counsellors, CAMHS, EIP teams, therapists, psychologists, psychiatrists, OTs, support workers, GPs, substance misuse workers, YOTs, helpline staff, teachers, mentors & more. Young people (16+) with lived experience of voices, visions, other sensory experiences or self-harm. This is a FREE training course for anyone working with children or young people who hear voices, see visions, or have other sensory experiences.